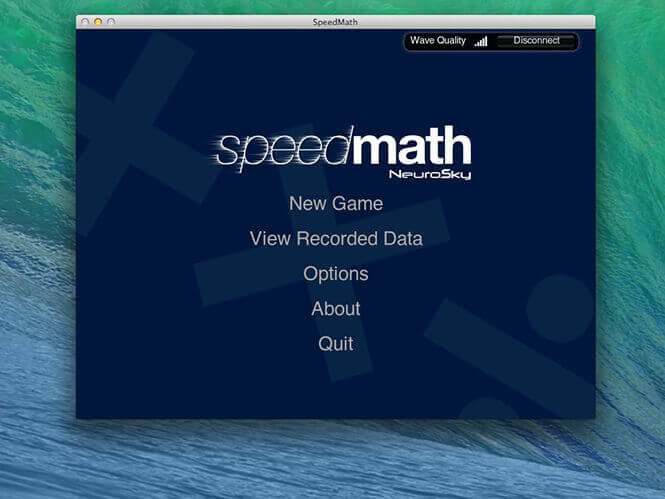 SpeedMath is another application that can be found in the application folder after the installation. 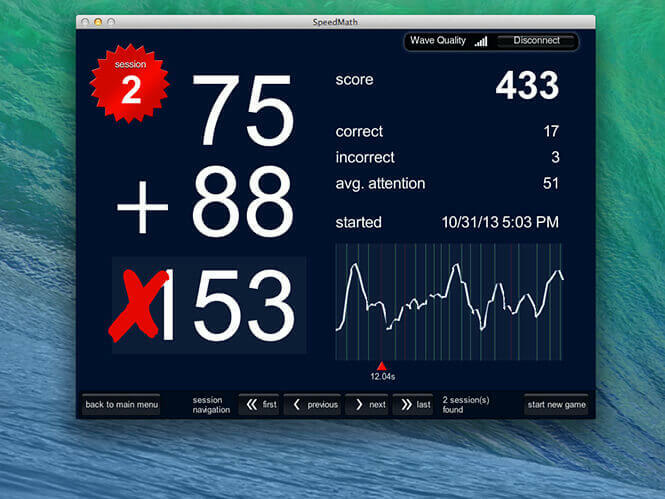 SpeedMath lets you practice basic arithmetic problems with real-time feedback about the level of engagement through the power of brain-wave analysis. 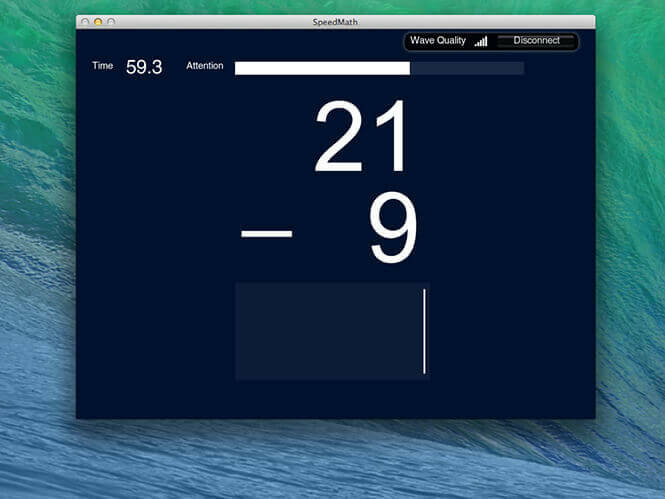 When the session begins, you simply study the arithmetic problem that is presented and type in the answer. The input is shown in the input box while you type it. If the problem is answered correctly, the input box is automatically cleared and a new problem appears. 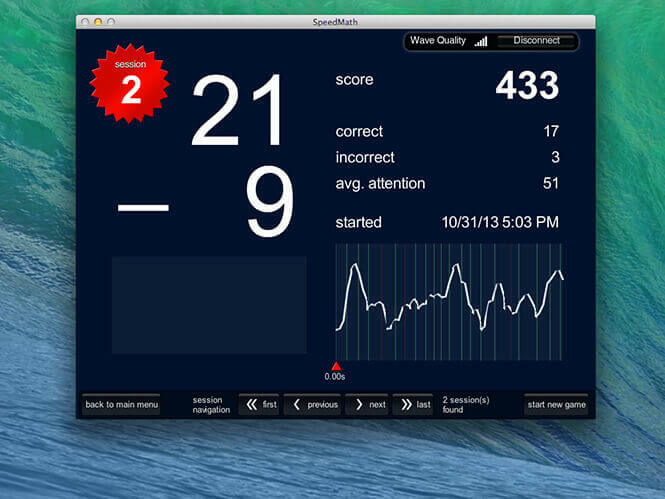 Once the session finishes, you are brought to a Results screen where you can view various statistics about your session. 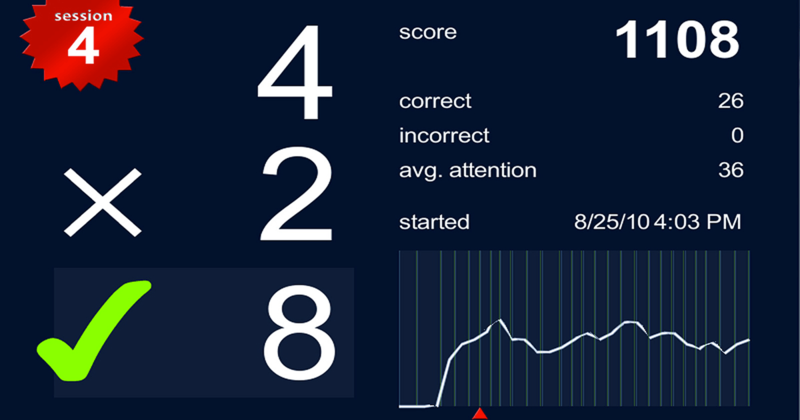 It is interesting to observe how the decrease in attention level and incorrect answers correlate. You can find more free and paid applications in NeuroSky Store if you want to play more and have an idea what can be done with the EEG headset which is good starting point to see the possibilities and get in touch with the developers from all around the world.